Looking For Small Claims Assistance Services? 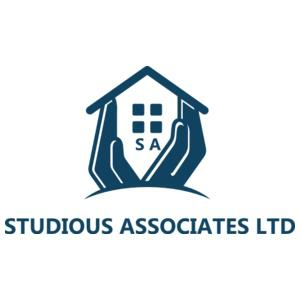 Studious Associates Loss Assessors based in Ruislip act for you (the policy holder) when you need to make an insurance claim on your property. We process both residential and business claims and will handle all aspects of the claim from the first report to the final settlement. If it's the first time you have to make an insurance claim, there's so much to take on board. Part of this is working out who does what in the claims process. The difference between Loss Adjusters and Loss Assessors is often misunderstood. Loss Adjusters Work for the insurance company. They are employed by the insurance company to represent their interests and decide what will be paid for - and what will not. Their job is to do the adjusting of the claim - and this is almost inevitably downwards. Act for YOU, the policy holder. We are independent professionals who act on your behalf to protect your interest and ensure you receive everything you are entitled to. We will take on all this responsibility for you and deal with the insurer's Loss Adjuster on your behalf and will protect your interest every step of the way, so you receive the very best settlement possible. Its important to engage a Loss Assessor as early as possible although Studious Associates can step in at any point in the claims process to handle and negotiate the claim for you. With over 30 years of experience in the construction, repair, surveying and claims industry-we will handle and negotiate your insurance claim with the utmost care and expertise. To date all our clients have been 100% satisfied with the settlement received. With Accredited Affiliation to The British Damage Management Association you can be assured all claims will be correctly assessed and dealt with from the start.